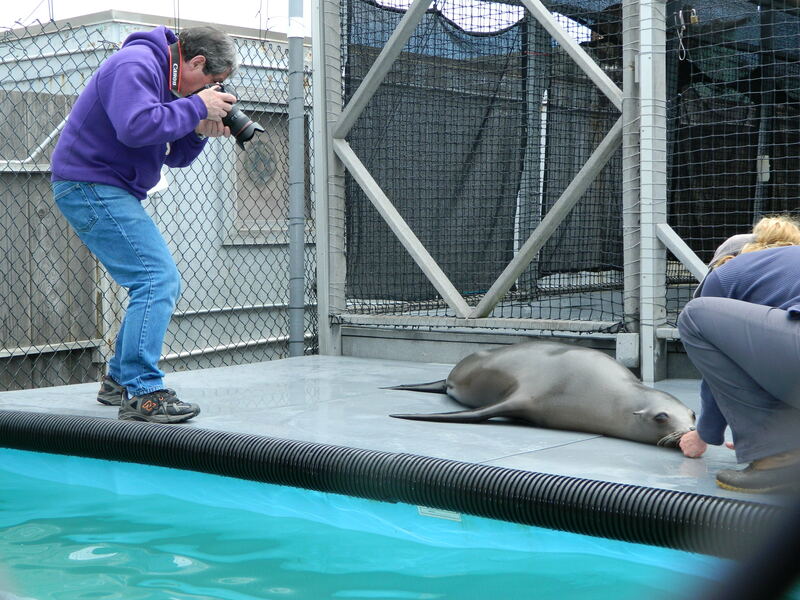 In collaboration with Westchester University researcher Frank Fish, a three year program starting in 2018, will be studying sea lion maneuverability by passively recording the sea lions with video photography while swimming in either free swim or trained control conditions. Data will include accelerating from rest, turning and hovering in tanks as well as movement on land. 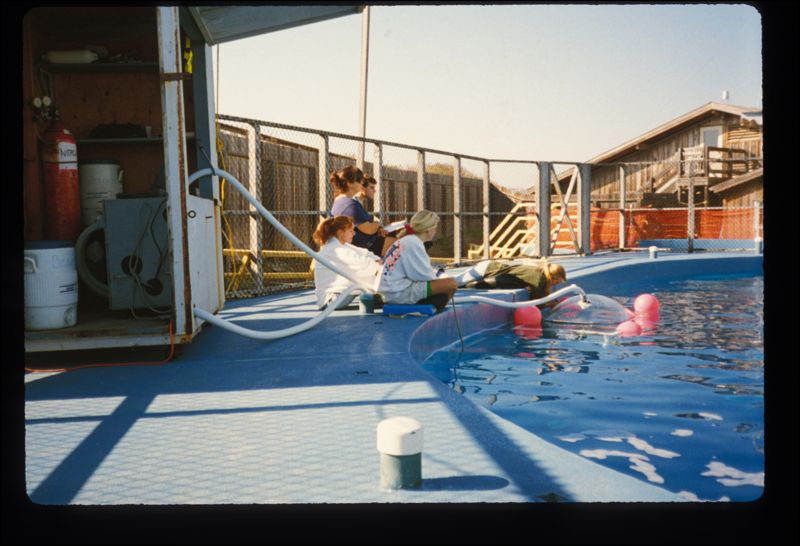 In 2015, SLEWTHS partnered with Moss Landing Marine Labs Marine Mammal Faculty researcher, Dr. Gitte McDonald and her graduate student, Mason Cole in his Masters project. 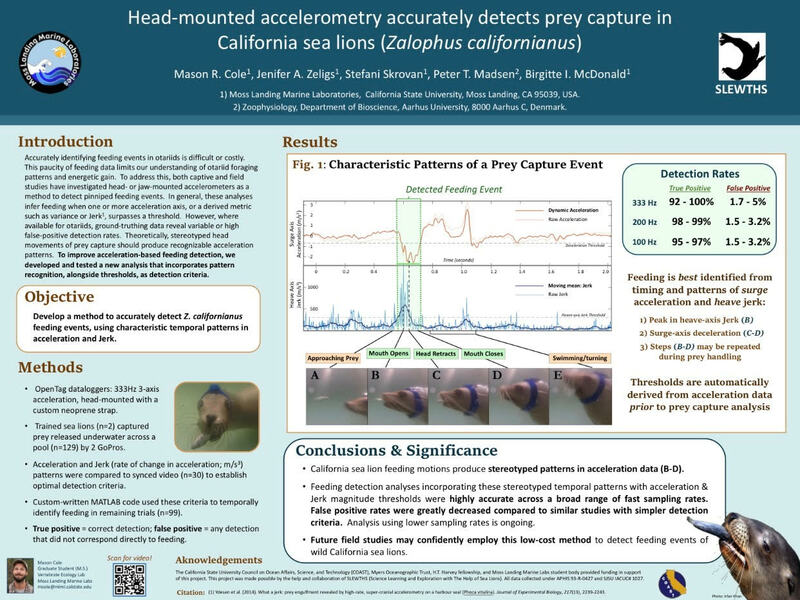 This project will help validate the use of modern, triaxial, fast-sampling accelerometers to reliably identify prey engulfment and possibly prey size by California sea lions. 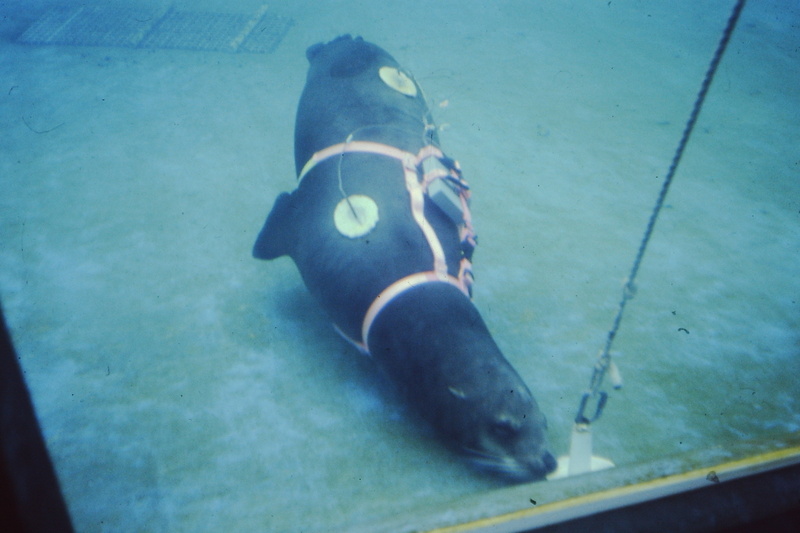 These tags have successfully been used for this purpose with a captive harbor seal wearing the tag on its head (Ydesen et al. 2014). 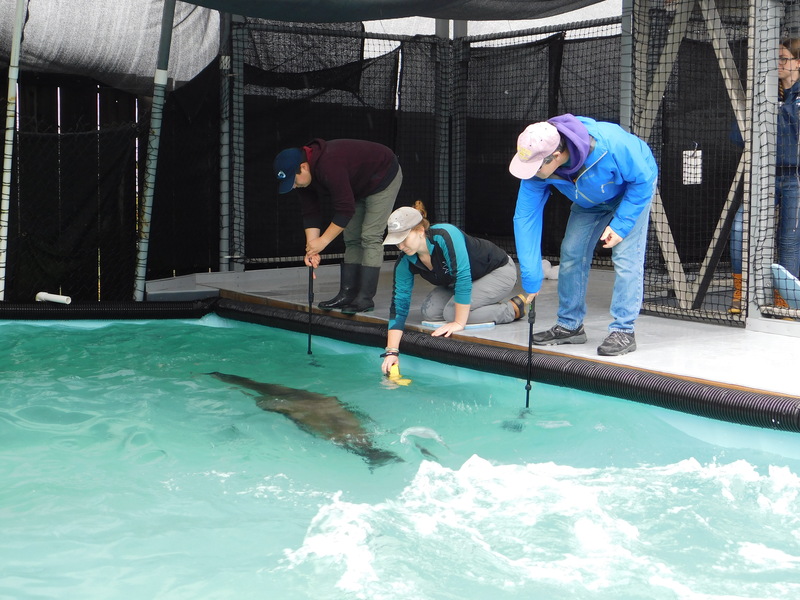 The purpose of this project is to validate this methodology for use in California sea lions, offering a reliable, noninvasive, and important means of enumerating and categorizing prey capture events for potential future use in wild sea lions. Trials were conducted throughout 2016 with 1.1 of our California sea lions (Zalophus californianus) wearing accelerometers either on their head or on the back while presented with a prey item underwater. 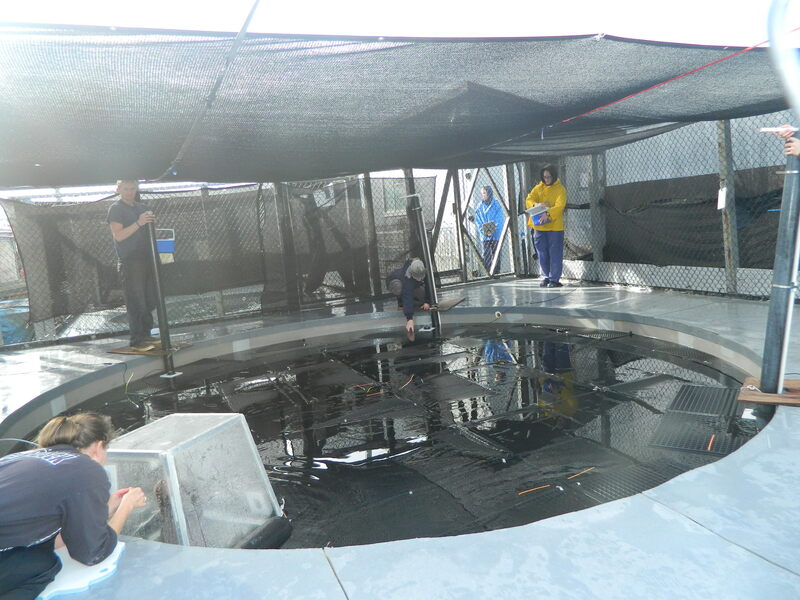 Prey item size is recorded prior to feeding and each fish is presented within view of an underwater-mounted GoPro cameras synced precisely to the accelerometers. 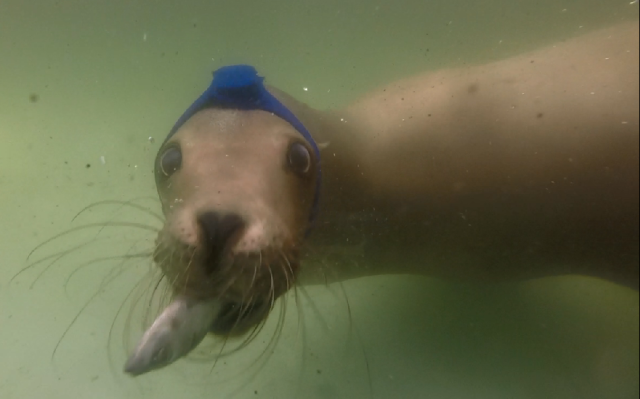 The sea lions are recorded eating the prey item by both accelerometers and GoPro cameras and the data will be analyzed by computer algorithms to see if the accelerometer can reliably detect the feeding events.